Writing and submitting an excellent training contract application is one of the hardest things you'll do. There's a lot of information online and people providing their top tips on writing applications forms, but these tend to be limited to 5 top tips or generic themes. In my experience there are so many factors that go into creating an excellent training contract application form I don't think they can all be covered in a few points. So, I wanted to write this article to give you as many practical tips on how to improve your application as possible. You'll see that much of this training contract application advice is around what you shouldn't do as well as what you should. 1. Academics – let's start with an obvious one. Make sure you maximise your academics. Most law firms still use education results as a minimum criteria factor. 2. Target your applications – following on from point 1, target your applications to firms that meet your academic profile. If you have 3 Bs at A-level and you are applying for firms with a minimum entry criteria of 3 As, you are going to get rejected. 3. Two weeks' work experience – a mistake I see too often. Remember you need an apostrophe after the 's' when writing sentences like this. 4. Capitalisation – make sure you are using capitals correctly. I often see people writing their full name in lower case, or using 'i' rather than 'I'. This really matters. 5. Work experience entries – don't look at these as an unimportant section of the application form. Absolutely maximise your application by giving a clear description of each piece of work experience you are going to include in your application. Good candidates use the work experience section well by giving clear examples of their past roles and experience which gives the reader more context to their training contract application. 6. Clarity on international qualifications – we are used to seeing candidates with international qualifications – that's never a problem. If you do have qualifications that aren't A-Levels or a UK degree then the best thing to do is to explain the grading system e.g. 1-20, 1-7, A-E, etc. and then inform us of your grade. It's also best to break this down by module and provide an overall grade. 7. Members - if you are a member of a group like Aspiring Solicitors or SEO, mention it on your application. We work with these organisations so we want to know if you are a member. 8. Campus events – firstly, go to campus presentations. Secondly, tell us that you attended the presentation on your application. It will show you already have an interest in the firm. That's a big positive. 9. Open days – similar to campus events, go to open days and tell us if you did. Law firm open days are different to university open days where anyone can turn up. Law firm open days are usually via application so you will have been assessed already by the firm if you have been accepted. Consider open days as the first step to building up your relationship with a law firm. 10. Don't be generic – this is an important one. Fully research the law firm you are applying to and write an application for each law firm from scratch based on the research you have carried out. 11. Mitigating circumstances – if you have them, include them. All application forms will have a section asking if you have any mitigating circumstances that may have resulted in your underperformance at some stage in your education. What law firms look for is a dip in performance that correlates to the mitigating circumstance. 12. 'relish' – I think most recruiters will say this, but please please please stop writing how much you would 'relish' a career in commercial law. I have never met anyone who would say that in person (the 'relish' part, not the 'commercial law' part! ), so please don't write it. 13. 'love' – I see this more and more. Candidates writing phrases like 'I would love to attend an open day at your firm'. The problem here is that it's not professional language. It's fine for text speak or informal emails to friends, but not in a professional application. 14. Get someone to read your application – the application is too important not to get it checked by a fresh pair of eyes. 15. Get someone who knows what they are doing to read your application – further to point 14, where possible get someone to read it who understands training contract applications. They will be able to do more than proofread it, they'll be able to give you advice on the content. A law school careers service is a good place to go. 18. Read the news - it's important that you understand current trends and key happenings in the news, particularly in the financial world. Many lawyers start their day by reading the Financial Times. There are many good resources that you can use such as The Economist, The Week or Money Week for example. 19. Student Law societies – join your university's law society. It's an easy way to build up your network and get exposure to law firms looking to recruit. It looks good on your application. 20. Run for a position in your law society – once you join the law society, you could run for an elected position on the committee. There are many positives in doing this that can be used to improve your training contract application – leadership, ambition etc. This is relevant to other societies too. 21. Pro bono – the opportunities to do pro bono are pretty endless at university and law school. Law firms also require their lawyers to do pro bono so it looks good on your application. 22. Legal clinics – this will give you practical examples of situations where you have provided legal advice to clients. This is what lawyers do. 23. Sign up to mailing lists – if a law firm you are interested in wants to send you information – let them! Chances are it will be relevant to you and if it's coming straight to your inbox you are less likely to miss out on opportunities. You can sign-up to our monthly eNewsletter on our homepage. 24. YouTube channels – some law firms now have great content on their YouTube channels. Why not subscribe? 25. Industry work experience – Don't underestimate work experience that isn't 'legal work experience'. Industry experience can be just as relevant. 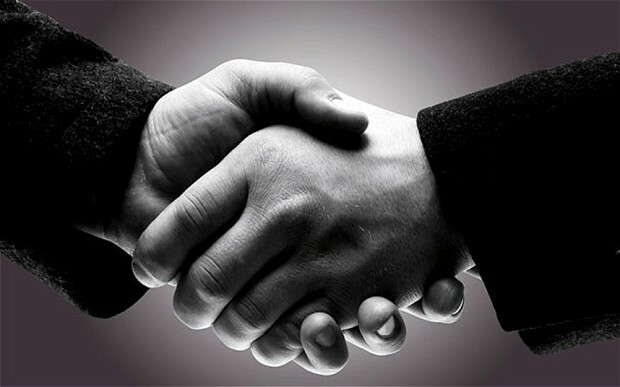 Many professional services organisations work in a similar way to lawyers and have a similar relationship with clients. Work in accountancy firms, management consultancy or auditing can be just as relevant. 26. Dates – please add dates to all your entries, work experience and education. Leaving these off just makes it look like you have rushed your application, or worse – you are trying to hide something. 27. Send your training contract application in on time – the day after an application deadline I can assure you we have an inbox full of emails informing us that there was an unforeseen reason that an application wasn't submitted on time. The application window is open for months so we don't have much sympathy in these cases. 28. Apostrophes – possibly the most common grammar mistake we see on application forms. 29. Don't quote things back from the website – we know what's on our website. We don't want it repeating back. We want unique and well researched answers that make you stand out and show that you have thought above and beyond the information you can find online. 30. Don't be negative – always write your answers in a positive light. Sounds obvious but we do get candidates applying to us who haven't been successful at other firms who can then have a tone of negativity against that firm. Keep clear of doing this. 31. Don't bullet point – please write your answers in full prose. Using bullet points looks lazy and never provides us with enough information. 32. Be clear with transferable skills – one section of our application form asks about extra curricular activities. A mistake I often see is candidates making an assumption that a particular extra curricular activity equates to a competency they think we are looking for. For example, a candidate may tell us that they were captain of their university football team...and that's it. I can see that the candidate is listing that activity and presuming that it shows leadership skills – but it doesn't. 33. Be honest with criminal convictions – there's no point lying about this. 34. Consistency with the firm's name – you can refer to us as Shearman & Sterling, just Shearman if you like, even S&S, but please be consistent. Just choose one and stick with it. You should also maintain this consistency throughout your whole application. I often see candidates are consistent in sections, but not throughout the application. Decide how you are going to refer to the firm before you start your application. 35. Maximise the word count – there is a 250 word count for each of the open text questions we ask. The more you maximise the word count, the more great content you can provide. Short answers never provide me with enough information. 36. Cut out unnecessary words – when we advise to maximise the word count, we mean with clear and concise sentences that each make a point. If you are reaching the word count by padding it out, that won't help your application. 37. Overly verbose - It's always best to write in way that is easy to understand. Don't think that using overly verbose language will make you appear a more impressive candidate. 38. Module breakdown – please list all the modules you have studied at undergraduate and postgraduate (if applicable) level, listing the grades you have attained. 39. Future work experience – if you have work experience lined up, but you haven't completed it yet, it's okay to add it to your work experience section as a future entry. Just write a small paragraph explaining that this is future work experience and anything else you would like to inform us of. 40. Understand the audience – it always helps to know who will be reading your application. In the vast majority of cases it will be a law firm's recruitment team. Lawyers will read your application but typically after the recruitment team have completed an initial screen. 41. Don't make it too complex – your application isn't a dissertation and it's not your place to explain Schrodinger's Cat. The information included should be crystal clear to anyone who reads it. 42. Write in stages – the application will require more than one sitting to write and certainly more than one draft. It's best to write in stages. If you get writer's block – try these tips. 43. Additional information – there is a section on the application form for additional information. Please use this if there is something you think will add to your application that wouldn't otherwise be captured. 44. Get to know the graduate recruitment team – if you are interested in a firm it makes sense for you to put some effort in to meeting the recruitment team. If you make a positive impression before applying, your training contract application is much more likely to be seen in a positive light. 45. Pick your deals well – a law firm's business in many cases is based around the deals it has won and worked on – so it makes sense for candidates to research relevant deals. Please make sure that the transactions and cases you research and want to mention in your application or at interview are ones that are relevant. For example, at Shearman & Sterling we are working on deals globally throughout the entire network of offices. If you pick a deal that is very localised to South America with no involvement from the London team, that's not going to be as good a choice as choosing a deal that has been led by London. 46. Understand a law firm's USP and position in the market – all law firms will operate in a particular segment within the legal market. Find out what this is – it will help you enormously to understand a firm's strengths, how it wins work and who its competitors are. 47. Research some business models – SWOT; PESTLE; Porter's Five Forces etc. 48. Chronological work experience – a basic one, but it's standard form to list your work experience in chronological order. 49. Know what the law firm is looking for – everyone is different. 50. Take your opportunities – law firms have many opportunities for students to attend presentations and events. Make sure you show up. It's the bane of careers advisers' lives when they arrange for a law firm to come to campus, students register to attend then don't show up. By the way, we track all candidates who register for our events and then don't show up without letting us know! 51. Research - more on this in a moment, but a good application has to be based on good research. When you read many training contract applications, you can clearly see the candidates that have done more research. In this section I'm going to list a few of the online resources you can use to research law firms to help you improve your training contract application. This is by no means a definitive list, but the resources below are certainly a good starting point. 52. 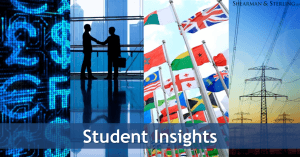 Read Student Chambers – a brilliant source of information on law firms. Completely comprehensive and very well written. A must read. 53. Legal Cheek – who doesn't enjoy reading this every day? Fun, relevant and tongue firmly in cheek. 54. AllAboutLaw – great updates, particularly if you subscribe to their emails. 55. Lawcareers.net – a good site for content, particularly The Oracle and Burning Question. 56. Target Jobs – very comprehensive and their Inside Buzz section is a useful way to research firms. 57. Debut – leading the way in linking candidates to top employers through the use of app technology. Completely free to use and only growing stronger. 58. The Student Room – the training contract and vacation schemes threads on the student room are very comprehensive and clearly a source of information sharing between students. 59. RollonFriday – the one and only. Jamie will have you in fits of laughter. 60. RateMyPlacement – this is a great site, particularly for reviews of vacation schemes. 61. Legal Week – not a graduate recruitment focused resource, but a key resource to find out what's happening in the legal world. 62. Ensure duplicate content is accurate – application systems commonly used by law firms such as apply4law allow you to enter information that you will need to provide in every application in one go, so you don't have to input it each time. (apply4law refer to this as MyLocker). This information tends to be personal details, academic history etc. If you do this you need to be 100% certain that there are no mistakes in your entries, otherwise a mistake will appear in every application. 64. Understand key terms – you might not be a law student, but should have some knowledge of key terms and typical trainee tasks. Do some research on things like due diligence, conditions precedent, drafting etc. 65. Mention achievements – if you have won awards or achievements, both academic and non-academic, make sure you mention them in your application. 66. Avoid writing generically – for example, one of the questions we ask in our application form asks "As a leading international law firm, how does Shearman & Sterling maintain its competitive advantage?". Poor answers talk about how 'Law firms maintain their competitive advantage by...'. Instantly you can see how generic this answer will be. Good answers talk about how 'Shearman & Sterling maintains its competitive advantage by...'. 67. Clean up your social media footprint – it's becoming more common for employers to do some checks on applicants, so best to make sure you are happy with your online profile. 68. Give the graduate recruitment team time to read your application – if you submit your training contract application on the 1st September and the deadline is the end of December, please don't email or call after a few days inquiring why you've not heard back. 69. 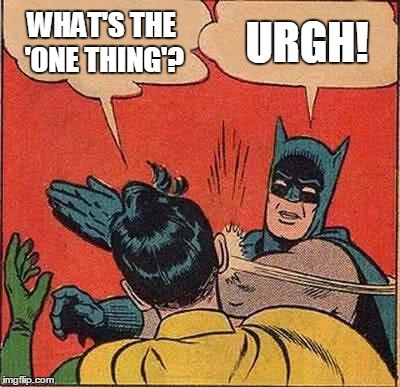 There's no 'one thing' – candidates ask this all the time – "what's the one thing that makes an application stand out?". There isn't one. There's no silver bullet. It's about producing a consistent, well researched application with no mistakes, that meets the entry criteria and contains relevant work experience. 70. Get your grammar right – Shearman & Sterling LLP is one entity so you should refer to the firm as 'its' rather than 'they'. Using an example question above from point 66, a correct way of referring to the firm would be 'Shearman & Sterling maintains its competitive advantage by...", rather than "Shearman & Sterling maintain their competitive advantage by..."
71. Don’t censor yourself – don’t assume we won’t be interested in particular work experience (like waitressing), hobbies or societies – you can emphasise transferable skills from all walks of life. 72. Business involvement – if you have been involved in running a business or setting one up, this is great experience that you should reference. 73. Mature students – maximise your work experience. This is where you can have a real advantage. 74. Contract law - of all the compulsory modules on an undergraduate law degree, contract law is the most relevant to life in practice so it's important to maximise your grade in this module. 75. Don't send your application in too early – if your application isn't strong enough, sending it in early won't give you an advantage. You should only apply once you feel your application is the best it can be. 76. Don't apply for every position - I often see candidates applying for every possible open position - vacation schemes, open days, training contracts etc. The problem here is that if you get rejected for one position, because you've used the same application, you're also going to be rejected for all the positions you applied for. 77. Use paragraphs – it's an easy one and it makes an application much easier to read - particularly when you are reading so many back-to-back. 78. Reintroduce yourself - my colleagues and I meet a lot of people at events, don't be afraid to reintroduce yourself if you meet us again at other events or during an interview. 79. Keep the tense consistent - although I advise to write your training contract application in stages, be careful not to change the tense throughout your application. 80. Undergraduate vs postgraduate - a master's degree won't compensate for an under-par undergraduate degree. Law firms place much more value on an undergraduate degree. 81. Don't over exaggerate your predicted grades - there is a section in the application form where you indicate your predicted degree grade if you are an undergraduate student. If all your module grades suggest you are going to get a 2.1, and you have told us you expect to get a first class degree, that's going to look odd. 82. Practice or practise - know the difference! 83. Brexit – over the last 12 months we have seen many candidates referring to Brexit, in the application and also at interview. There's nothing wrong with this, but you need to ask yourself "Will I stand out talking about Brexit?". There has been so much written and discussed on this topic that it's unlikely that you are going to tell us something that we haven't heard before. That's the risk. 84. Don't focus on practice areas that the firm doesn't specialise in – this is a very easy way to show that you haven't done your research on a firm and your applications are generic. 85. Minimum academic entry criteria is just that – please don't get confused by what minimum academic entry criteria means. It doesn't mean that if you meet the entry criteria you move to the next stage. It means that you need certain academics to be considered for the next stage. 86. Google Mentions – if you are applying for a firm and want to research that firm and follow what they are doing, google mentions is a good way to do this. 87. CV & Covering Letter – for most firms the application process is online via a standard form, but if you are applying for positions that ask for a CV, make sure you also send an accompanying covering letter. That's good practice when applying for any role, not just training contracts. 88. Don't make a single mistake on your application form – one of the key skills of a lawyer is attention to detail. You need to show us through your application that you can complete an error-free submission. Sometimes candidates ask how many mistakes can be made on an application before it gets rejected – the answer is none. 89. Do your own thinking – if you are asked to talk about a news story or popular topic, make sure you are making your own points and arguments. Occasionally candidates cite an article they have read, run through the points made and then say they agreed with the article. The candidate may well have written or spoken at length about a news story, but this doesn't show any critical thinking by the candidate. 90. Don't follow the fads – a few years ago, applications were littered with answers referring to Alternative Business Structures as changing the face of the legal profession. Today it's Artificial Intelligence. Be careful not to follow fads without fully analysing the possible effects on the firm you are applying to. 91. Just answer the question – sounds obvious but don't make the mistake of trying to squeeze information you want to tell us into an answer, when that's not the question. Once you have written an answer, get someone else to review it and ask them if they think you have genuinely answered the question. 92. Evidence – be prepared to evidence the statements you make in your application in order to improve your training contract application. A first round interview could well be based on your application, so make sure you feel confident providing tangibles to your statements. 93. Don’t be modest – writing your training contract application is not the time to hide behind others’ successes, but should be when you celebrate your own! 94. However, don’t be arrogant! - Make sure you come across as someone we will want to meet and work with. 95. Be up to date – if there has been a recent news story announcing a big change at the firm, then you should know not to write about old news in your application. 96. Think about your referees carefully – we suggest one academic and one work experience, but don’t worry – we will tell you before we contact them. 98. No blanks - if there are questions that do not apply to you, simply respond with ‘not applicable’ or ‘n/a’. 99. Print your application – check your training contract application on paper as it’s much easier to spot mistakes and check formatting. This is a tried and tested way to help spot errors. 100. Don’t panic about the technical – we are looking for an interest in law and good potential; there’s no need to start quoting case law or contract clauses. This is why candidates who haven't studied law are at no disadvantage. As you will have gathered reading this, many of the tips you will be able to implement; but not all of them. This guide is designed to help you make the most of your training contract application. If you can implement 60, 70 or 80 of these points, I can guarantee your application will be stronger. Having read hundreds, if not thousands of applications, I know that most candidates don't progress past the application stage because they have made a small, but important, mistake on their application due to a lack of attention to detail. To improve your training contract application, above all else you should submit an error-free application form. All the hard work you have put in by gaining work experience, excelling academically and researching law firms in depth can be undone by a spelling mistake, the misuse of an apostrophe or a duplicated word. Are you now ready to apply for a training contract?